It has been a while since I have posted, work life balance is currently out the window which is making it hard to get the blog mojo on. 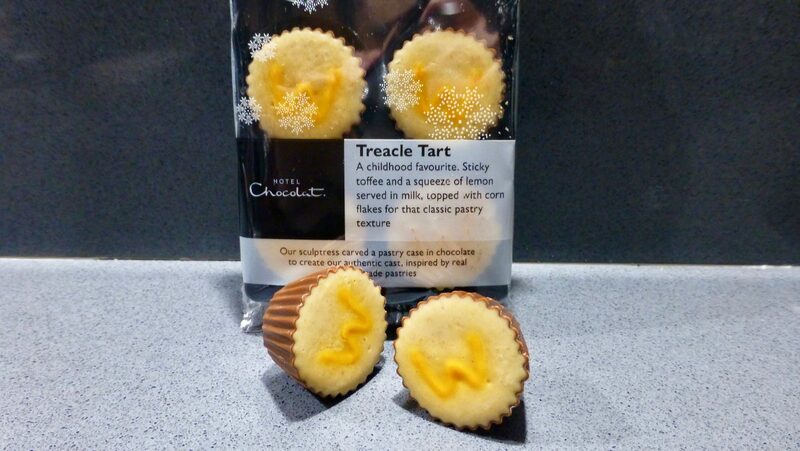 Nonetheless what better way to kick start things than with Hotel Chocolat Treacle Tart chocolates. As ever these are £3.95 and part of Hotel Chocolat Selector collection. These are some appealing chunky chocolates and are made to look like they are sitting in a pastry case, it must be realistic as my mother even asked me why could she not take the wrapper off them…. bless her. Cutting open revealed the distinct layers between the toffee and chocolate cornflake topping. 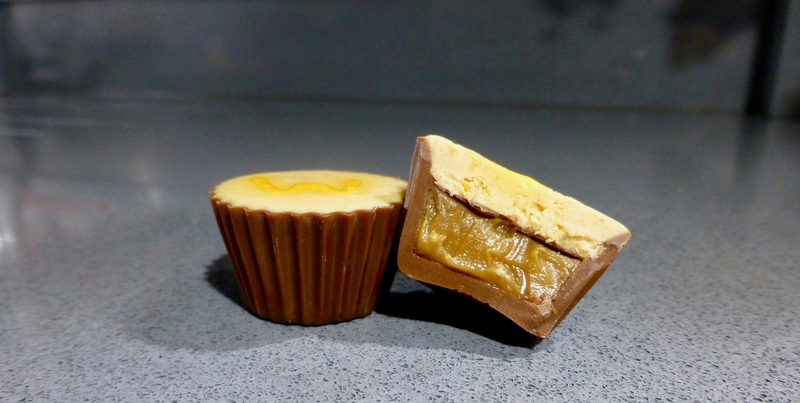 The toffee was as sticky as promised and had a delicious buttery flavour to it that was topped of with a zingy fresh twist of lemon. I liked the choice of chocolate, smooth and creamy and complemented the toffee well. This was however very overly sweet and more in terms of sugary rather than the golden syrup flavour we are all used to with this classic pudding. The cornflake topping was interesting and gave a much needed crunchy element to it, I would have preferred a biscuit base but the compromise of cornflakes isn’t a bad one. A nice job by Hotel Chocolat. It reminded me of a treacle tart, however I am dubious that this was because I knew what it was. Nonetheless enjoyable all around.